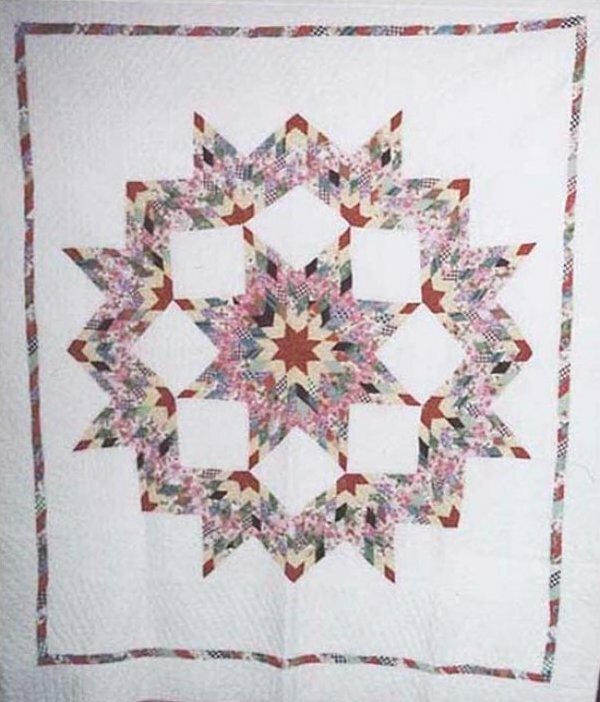 The more-difficult-to-make BROKEN STAR pattern is pieced of classic 1930s printed cottons accented with red -- a coloration I love for this era of quilts when more are usually done in pastels. The same prints are used for an inner border which is a bonus touch that frames the design and makes it easy to hang for display. Fresh palette, iconic pattern. Quilt is squared off though it does not appear so in my amateur photo.